If you want to be a consistently profitable trader and investor you have to stay on top of the markets. You have to be willing to adjust and adopt to market sentiment and volatility. Some traders rely on investment newsletters for sentiment, ideas, and another opinion. Make no mistake about it, traders spend money on research and tools. However, in their eyes its just the cost of doing business. If they can find something that makes them faster, smarter, efficient, and more profitable– then that’s expense worth making. Investment newsletters fall in the category of research. Some are free while others come at a premium. Free does not necessarily mean bad and expensive doesn’t necessarily mean good. Follow someone who has an established tracked of winning. Now, if you’re new to trading or investing you’ll need a mentor. A mentor is someone who can help you make better decisions and reduce mistakes. Of course, subscribing to a newsletter is not like getting individual one-0n-one attention. But you’re still receiving insight from someone or a group whose been there, done it before, and is where you want to be. For example, some services that offer trading ideas disclose a plan. If you’re new to trading then you can find real value from a trading plan. A good investment newsletter will explain the thesis on why a stock is a long or short, the entry price, and the exit price. Of course, the exit price is actually two levels, the profit target and the stop loss. How do you know if an investment newsletter is legit or not? All you have to do is hop online and do a search for the newsletters review to get a grasp of its credibility. If there isn’t much online, or if the service is new, send them an email directly and ask them for a sample or a trial. If they are still reluctant, post your questions and concerns. How long have you been in the trading business for? What is your success as a trader or an investor? and can it be verified? Do you have an industry experience? Basically, these questions are trying to answer the question on whether or not the investment newsletter is the real deal or not. Idea Generation. Sometimes traders and investors get so wrapped up on their own beliefs and ideas that they miss other money making opportunities. Subscribing to a good investment newsletter can help with idea generation. Hearing someone else’s idea can start getting your creative juices flowing. Potential To Exchange Ideas/Ask Questions. The investment newsletter service business is extremely competitive. Many of them are now trying to create a community, becoming more than just a service that offers market analysis and trading ideas. If an investment newsletter offers a forum, or some type of support where you can email questions that can be viewed as an added benefit. Sentiment. Some of the very best traders are niche oriented. That is, they focus on a specific type of trade setup or opportunity. When we become so concentrated we sometimes miss other stuff that is going on in the market. An investment newsletter might be able to help bring the big picture together for you. Also, it could help you with your weaknesses. For example, let’s say your specialty is fundamental analysis, but need help on technicals, and are looking to improve entries, exits, finding support and resistance. As an investor or trader nothing is more important than time and money. If something can save you time or make you money you should be interested about the service. Is this making me money or saving me time? Very simple. Sometimes the research from an investment newsletter can be basic, but still be useful because it saves you time. On the other hand, if it can’t make you more money or save you time to justify the cost, then it’s not worth it. Does It Fit Your Trading Style/Personality? There are several ways to make money trading in the markets. Some do it through options, while others swing trade, or even day trade. There are many ways to skin a cat. That said, just because a strategy is profitable doesn’t necessarily mean if you trade it will be profitable too. For example, if you sign up to a contrarian investment newsletter, but you consider yourself a trend trader, then the service might cause more harm than good for you. That is, if you’re using it for trade ideas. However, if you’re using it for another perspective than it could still be useful. Traders are on the constant hunt for edge. There are some newsletters that provide edge. As an investor or trader you need to be honest with yourself and identify your weaknesses. 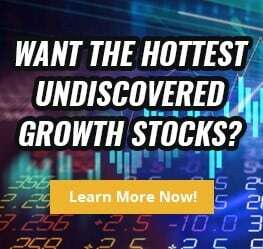 Are you weak at analyzing the economy and feel like your time could be better spent elsewhere, then maybe investing in an economics newsletter might make sense for you. Sometimes we need confirmation on our ideas. Other times, we need to hear the devil’s advocate. But at the end of the day it boils down to time and money. Regardless of what you decide, remember this, no one is going to care more about your money and finances than you. Spending money on an investment newsletter doesn’t mean you can stop working. It’s simply another tool or resource at your disposal. Nothing more-nothing less. The faster you treat your trading or investing as a business the sooner you’ll realize the costs of doing business. If it can make you money or save you time, consider investment newsletters, if you can’t justify the costs, then forget it. There are other expenses that go into trading that may be more important.